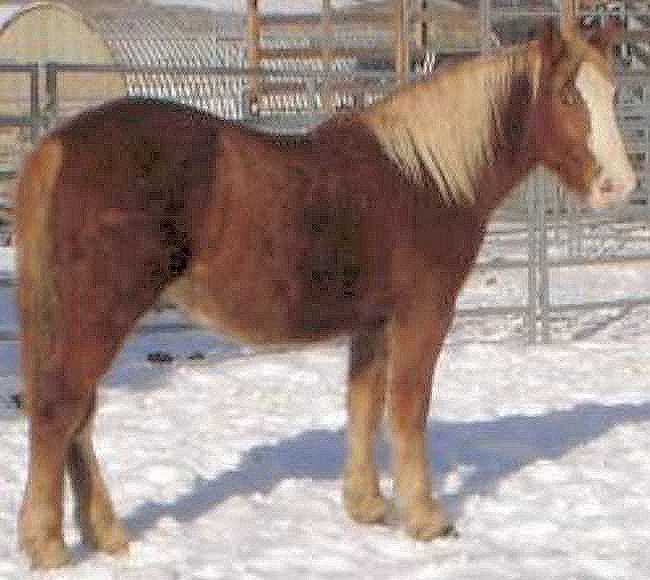 Colt; Quarter Horse/Belgian Cross; Gorgeous Flaxen Chestnut and White. A big sturdy, large boned, stout horse. GRRReat riding or driving horse. Wonderful attitude! Oversized riders, take note of this boy!